It’s time to give your space the most refreshing look with ceramic floor tile. We are the best ceramic tile contractor who is offering you a wide range of beautiful and extremely outlandish bathroom and kitchen tiles. Whatever the structure of your room is, the amazingly stunning white ceramic floor tile could be the best decision if you actually want to make your space astonishing. We are the single in the market who offer you diversity, class, quality and affordable at the same time. Whatever the shape, size or colors you want to choose we sell high-quality ceramic tiles that help you to give your space the gorgeous look like never before. Ceramic Floor Tile, water resistant and completely customized tile option would be a perfect choice to meet the modern trends of classiness and style. Explore our ceramic tile gallery designed to inspire you for all your floor tiling choice and requirements. Westside Tile and Stone showcase the best ceramic floor tile designs with a huge ceramic tiles collection available in stock. We offer you 100% top quality product like no one else in the market. Ceramic floor tile has so many advantages for giving long-lasting effect for many residential and commercial spaces as well as for outdoor purposes. Let’s find out the key features of Ceramic Tiles for flooring that make these tiles superior to another material. The amazing ceramic floor tiles come in a wide range of colors, patterns and exotic designs that gives an entirely new look to your space. Don’t worry if your place is exposed to heavy foot traffic because glazed ceramic wall tile is here for you. Whether the temperature is low or high nothing can deform or break the solid ceramic floor tile. Ceramic floor tiles are easy to maintain and clean. Being water and moisture resistant Ceramic floor tiles are the best choice to prevent bacteria and stains. 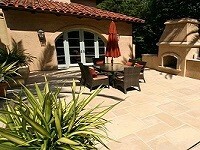 White ceramic floor tile keeps your home cooler in summer and thus consider as cost effective solutions in many ways. These amazing ceramic tiles become too much cold during winters that it becomes little difficult to work over the floor. 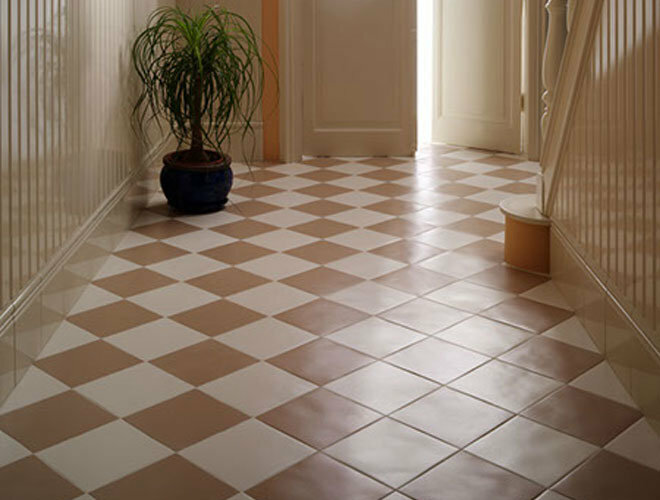 For installing ceramic floor tiles, a skilled person is needed who can give you extremely detailed services. Well, you dont need to worry for that when Westside Tile and stone is near to your location. 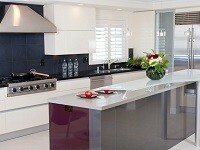 Are you looking to install the perfect ceramic floor tiles by the best ceramic tile contractor? Then you are in the right place. Commonly the ceramic tile flooring cost depends upon the material chosen and installation services offered by a company. However, if you are looking for the most reliable floor tile installation, we are just a call away! Elegance, durability and low maintenance are the three properties that make the glazed ceramic tile installation a first priority. It is important to upkeep and maintenance of the floor with proper instructions. Don’t use any kind of scratcher for rubbing over tiles. Don’t use acids or chemicals for cleaning purposes. It’s always better to do mopping with just water if you want your tiles live a long life. Westside Tile and Stone, being in the tiling industry for years is the best ceramic tile contractor offering the highest quality standard, and affordable tiles all over Southern California and the greater Los Angeles area with an aim to only provide the comfort and durability of tiles. However, installing ceramic floor tile is a kind of tough job but with little care, it can be done easily. Following steps are the easiest to follow while making a perfect installation of the ceramic tile floor. Before placing the tile with mortar just to make sure the layout looks fit and it sits side by side with both directions. You need to take care of the width of the tile. Sometimes tiles don’t properly adjust the layout. Always pick loose tiles and put the set-aside. Use a high-quality trowel to set/ spread the mortar over the 3×3 foot section. You can tap the tile in a mortar with the help of rubber mallet and continue the process of putting the tiles over mortar. Once all the tiles put on the place it’s time to mix grout by the professional ceramic tile contractor/manufacturer recommendation is necessary. You need to apply sweeping motion to press grout into the tile gaps. Looking for best tile store near me? Look no more! Westside Tile and Stone is the one stop shop for your tiling needs serving the greater Los Angeles and throughout Southern California. We offer a wide range of ceramic floor tiles in most modern and dynamic shapes and colors to enhance the ambiance of your space. Some of these collections are Pura Ceramic Wall Tiles, Encore ceramics, Solistone Ceramics, Adex Ceramic Neri collection with different styles and patterns like Hexagon patterned ceramic tile, White Ceramic Floor Tiles and many more which are available in different finishes. Surely these tiles will add something more to your place. So what you are waiting for? Shop tiles from the best tile store. Contact us today to schedule a free, in-home consultation or visit our tile store and explore the vast collection of ceramic floor tiles. We work with the residents of Agoura Hills, Beverly Hills, Brentwood, Calabasas, Malibu, Northridge, Pacific Palisades, Santa Monica, West Hills, West Hollywood and the bordering neighborhoods in Southern California.